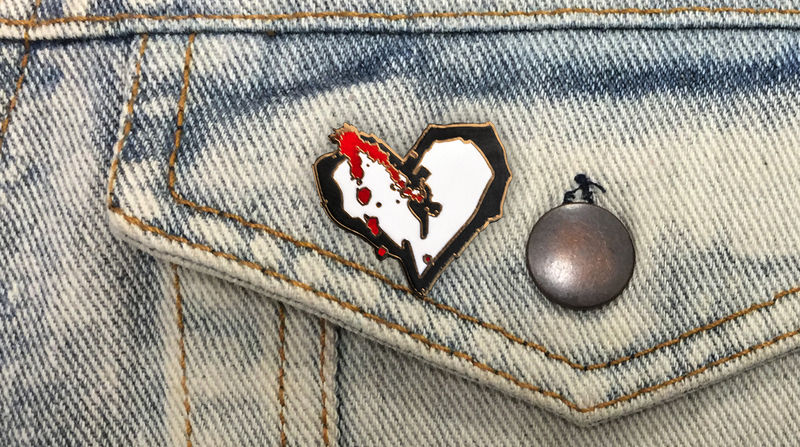 This is the last week we’re going to have pre-orders up for the AbsolutePunk.net commemorative logo pin through Hard Rock’s Online Rock Shop. So, if you want one of these little guys, now is the time to make sure you get your order in. This entire thing has been a lot of fun and introduced me into the world of pin collecting. I didn’t even know this was a thing until we put this together. Now I’m seeing them everywhere, and if my favorite bands start putting these out my wallet may be in trouble. I mean, I already saw the limited edition Portland Timbers one and kinda want it. If Blink put out one of their logo? Or a little floating Brand New spaceman? Yeah, I’d have no idea where I’d even store them and I’d want all the pins. But I digress. Last call for pre-orders on Hard Rock’s Online Rock Shop.